For many people, it’s tough to beat relaxing in the pool on a summer day. 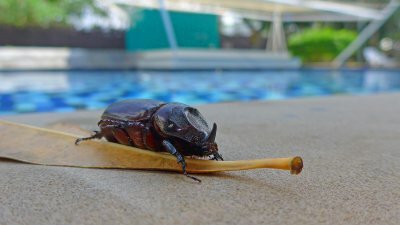 When pests decide to take over your pool, however, it can be hard to relax. 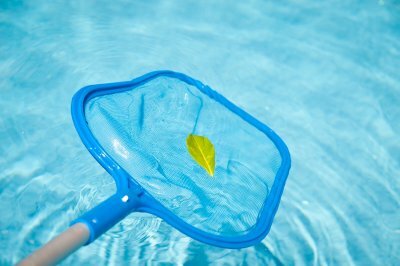 Regular pool maintenance near Salt Lake City keeps your water clean, healthy, and refreshing, but how do you keep bugs out? 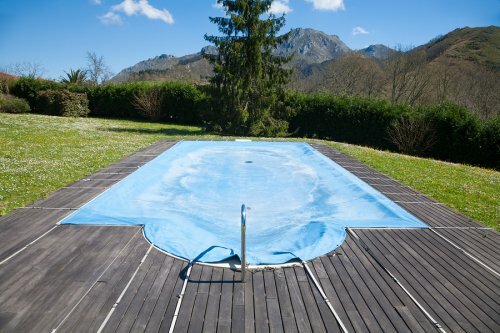 Make sure you use a pool cover during the offseason so you don’t create a breeding ground for pest problems, do away with places pests can hide, and think about putting up a fence around your in-ground pool. Read ahead for details on these helpful tips. When you close your pool up for the season, you might forget about it altogether until the warm weather rolls around again. If you want to make sure that pests don’t make themselves at home in your pool, it’s a good idea to close it up with a cover. Pool covers will seal out insects, rodents, and other pests that might otherwise set up habitats and start families in or around your pool. A cover can help, but you need to find one that fits your pool and install it properly. Pool covers can be helpful, but they’re typically only used during the offseason. When there’s still plenty of time before you close yours up for the year, you’ll need to take additional steps to keep pests away. When you’re going through your swimming pool maintenance routine, make sure to keep an eye out for places where pests might be hiding. Bushes and growth around your pool can serve as habitats for pests and make it easy for them to spread into your pool, so get rid of these potential hiding spots. Pool fences can help keep children and pets safe, and they can also keep pests away from your swimming pool. Look for a fencing style that will do an adequate job of keeping small critters away—wood and vinyl fences may be ideal materials for a job like this. Choose a fence that doesn’t leave any room to sneak by. A new swimming pool installation will allow you to have fun in the sun as outdoor temperatures start to heat up. Before you being a swimming pool installation serving Salt Lake City, however, it will be necessary to carefully plan out your project. From purchasing pool covers to designing just the right water feature, there are many factors to consider when you create a custom pool. If you are gathering ideas for your swimming pool design, take a look at these essential tips for planning a custom pool. Custom pools come in all shapes and sizes, and each type of pool and pool feature comes with its own price tag. Before you start the custom pool planning process, you will need to decide on a budget that meets your financial goals for your project. Even if you have a more limited budget for your pool design, you will still be able to create a stunning pool that will provide you with many years of enjoyment and relaxation. An outdoor pool needs to fit seamlessly into your existing yard and landscape design. While you will be able to landscape around the shape of your pool, you will still need to make sure that the dimensions of your pool are suited to the shape and layout of your property. If you are seeking a more natural look for your pool design, you may also want to include hardscaping features, such as a rock waterfall or natural stone pool deck surface. 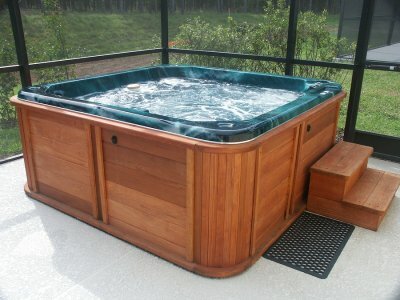 During the pool design process, you will want to gain ideas and inspiration from an experienced pool builder. Before you start to draw up the initial designs for your custom pool, it is a good idea to have already hired your swimming pool contractor. Your pool contractor can provide you with ideas for your design, and he can also help you determine what is feasible with your budget and landscaping considerations. Hosting a pool party is a great way to celebrate your new pool installation near Salt Lake City . When you watch this video, you will receive some essential tips and tricks for planning a pool party that your family and friends will remember. Some important supplies to gather for your pool party include tasty finger foods, refreshing drinks, and a signature cocktail. For safety purposes, you should always use unbreakable dishes and cups around your fresh water or salt water pool. If you have been dreaming of hosting a memorable pool party in your backyard, a pool contractor can help make your dreams into a reality. After your professional pool and hot tub installation, you will be ready to invite guests over to take a dip in your private swimming pool. A new swimming pool installation is exciting for any family. When you hire a pool contractor in Salt Lake City to install a brand new pool for your home, it is a great idea to get to know the various features and components of your new pool. 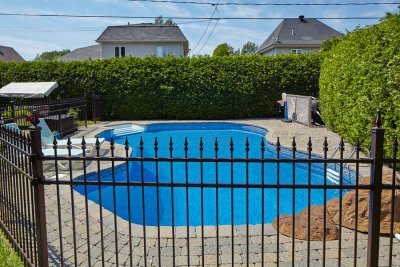 By educating yourself about the basics of swimming pool maintenance, you can make sure that your pool remains in terrific condition for all of your swimming and recreational needs. To help you talk to your swimming pool builders, here is a look at what every new pool owner needs to know about their pool. Circulation is a key function for any swimming pool. If you neglect to keep your swimming pool’s circulation system in good working order, you may start to find that your water becomes green and filled with uninviting algae. The pool pump and filter are responsible for circulating water throughout your pool system. At regular intervals, you will need to clean out the pool filter to keep it in peak operating condition. As the owner of a residential swimming pool, it is your job to make sure that you practice proper pool hygiene. All pools need to be cleaned on a weekly basis. 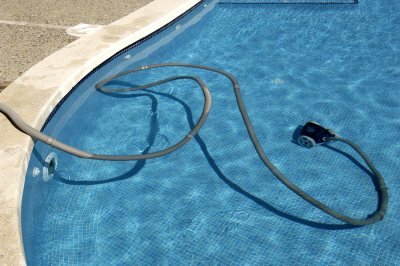 In order to clean your pool, you can use a pool vacuum, skimmer, or brush system. To reduce the time that it takes to clean their pools, some pool owners choose to clean their pool water using automated vacuums systems. Your pool’s chemistry will keep bacteria and other unwanted pathogens out of your pool water. If you have a conventional, rather than a salt water pool, you will need to make sure that your pool chemistry is properly balanced at all times. A pool water testing kit can provide you with the information that you need to achieve the right mixture of pool chemicals. Adding too many chemicals could make your pool water unpleasant for swimming and recreation. How Big Should Your Pool Be? When you are preparing for a new swimming pool installation in your backyard, you will have many factors that you will need to consider. One important detail that you will need to figure out with your pool contractor in Salt Lake City is the size and dimensions of your new swimming pool. A team of swimming pool builders that offers swimming pool maintenance and installation services will be able to work with you to decide on a swimming pool size that will accommodate your family and your friends easily. Read on for an overview of some factors to consider when you are deciding on a swimming pool size. In order to decide on an optimal swimming pool size for your home, it is a good idea to consider the size of your family. If you have a very large family and tend to host big gatherings in your backyard, you will want to make sure that your home is large enough to accommodate all of your loved ones. Smaller families can often make do with slightly smaller pools. The ideal size for your pool will also depend on how you intend to use it. For those pool owners that plan to swim laps and exercise in their pools, it may be more important to choose a longer and larger pool size that can accommodate all types of activity. If you simply intend on taking a dip and cooling off, you may not need to worry about your pool being big enough to swim laps. Ultimately, it is also important to make sure that your swimming pool is the right size for your backyard. You do not want to install a pool that is so large that it takes up the majority of your lawn and landscaping. When choosing a pool size, you will also want to consider other features, such as whether you will want to have a patio or outdoor kitchen adjacent to your pool deck. There are many reasons to consider a swimming pool installation for your backyard. In this video, you will take a peek at some of the terrific perks of owning an outdoor or indoor swimming pool. With services from a pool contractor in Salt Lake City, you can ensure that your pool area is properly maintained. By cleaning and caring for your pool, you can ensure that it is a safe space that allows for many terrific memories. For additional information about swimming pool maintenance, do not hesitate to get in touch with a team of experienced pool installers. From routine maintenance procedures to pool renovations, your contractor will be able to help you create and maintain the pool of your dreams.